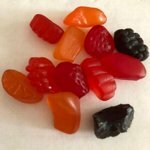 Welch's&amp; 174; Fruit Snacks Mixed Fruit. Made from real fruit with natural &amp; artificial flavors. This product is free from gluten and fat. There are no preservatives. 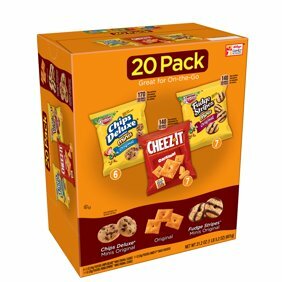 Welch's&amp; 174; Fruit Snacks are sure to delight your family as part of a balanced diet including fruits, vegetables, grains, proteins and dairy. 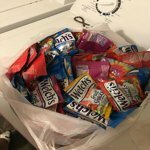 Welch's& 174; Fruit Snacks Mixed Fruit. Made from real fruit with natural & artificial flavors. This product is free from gluten and fat. There are no preservatives. Welch's& 174; Fruit Snacks are sure to delight your family as part of a balanced diet including fruits, vegetables, grains, proteins and dairy. Welch's® Fruit Snacks Mixed Fruit.Family farmer owned.80 Calorie pouches.Fruit is our 1st ingredient!.Natural & artificial flavors.Made with real fruit.DV per serving: 100% Vitamin C. 25% Vitamins A & E. Fat free.Gluten free.No preservatives.Per pouch: 80 Calories.0g Sat fat, 0% DV.10mg Sodium, 0% DV.11g Sugars.40 - 0.9 oz. (25.5 g) Pouches.Net Wt 2.3 lbs. (1 kg). Ingredients: FRUIT PUREE (GRAPE, PEACH, ORANGE, STRAWBERRY, AND RASPBERRY), CORN SYRUP, SUGAR, MODIFIED CORN STARCH, GELATIN, CONCORD GRAPE JUICE FROM CONCENTRATE, CITRIC ACID, LACTIC ACID, NATURAL AND ARTIFICIAL FLAVORS, ASCORBIC ACID (VITAMIN C), ALPHA TOCOPHEROL ACETATE (VITAMIN E), VITAMIN A PALMITATE, SODIUM CITRATE, COCONUT OIL, CARNAUBA WAX, ANNATTO (COLOR), TURMERIC (COLOR), RED 40, AND BLUE 1. I really like the assortment you get. Also they are soft and very flavorful, not waxy! Favorite among our family! My addiction! 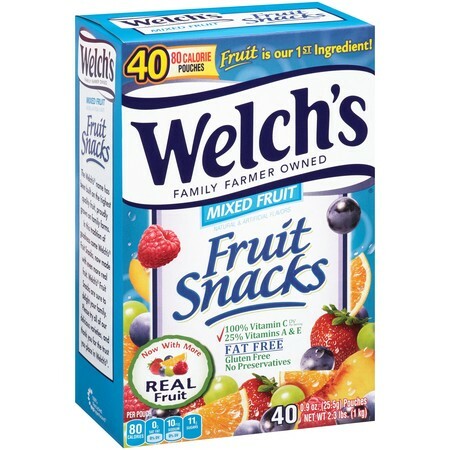 I love my Welch,s fruit snacks they are so delicious and i get them to keep my sugar from going down too low and these help me!! The best best in the market. My kids love these fruit snacks. Prefer them over any other kind.